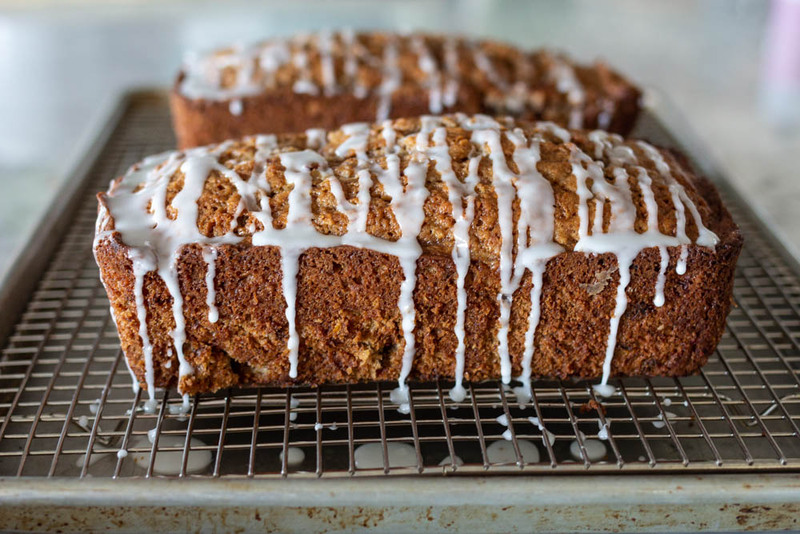 It’s Strawberry season, and this Fresh Strawberry Bread is a long time favorite in our home. 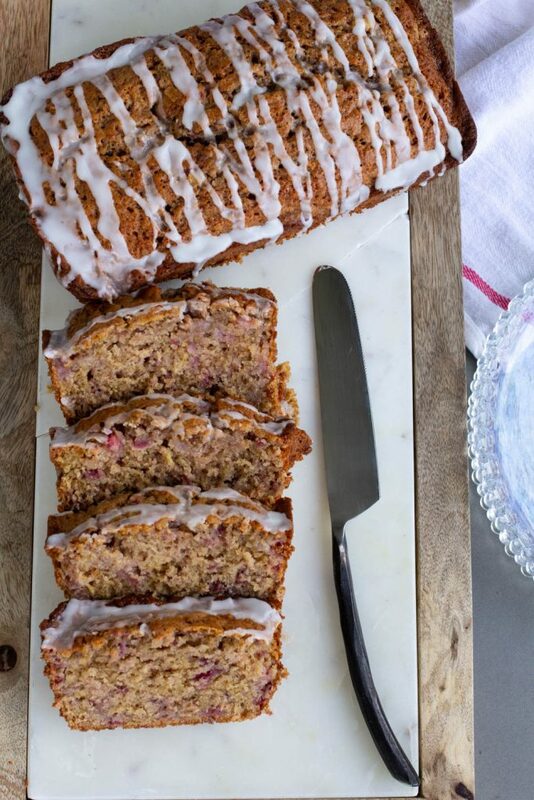 Fresh strawberries, lemon and cinnamon make the best combination in this quick bread! I’m a big fan of almost any type of quick bread (bread that is usually sweet and made without yeast). 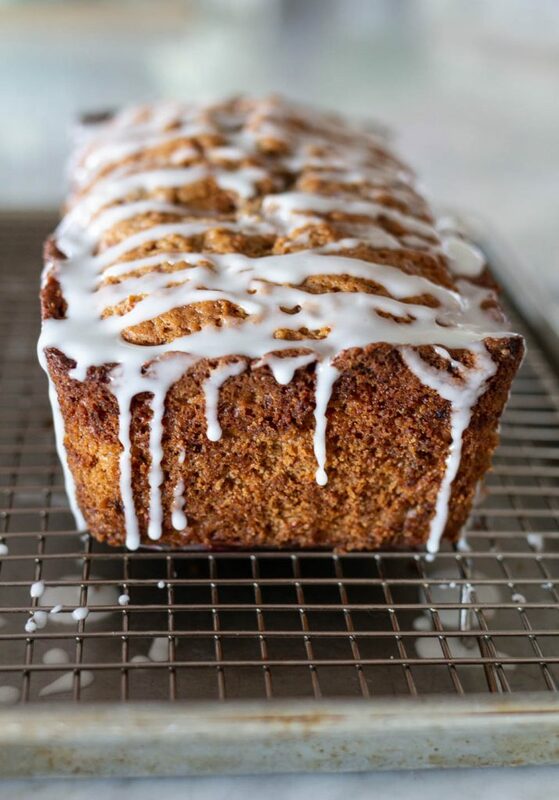 I love banana bread, pumpkin bread, zucchini bread…you name it, I love it. This Fresh Strawberry bread is no exception. It’s a treat that goes perfectly with a Sunday brunch or a ladies lunch. It mixes and bakes up in a little over an hour, with most of the time baking in the oven. Fresh Strawberry Bread is served at room temperature, chilled or even warm out of the oven! I love it plain, but some in my family love to spread it with a layer of butter and honey or jam! 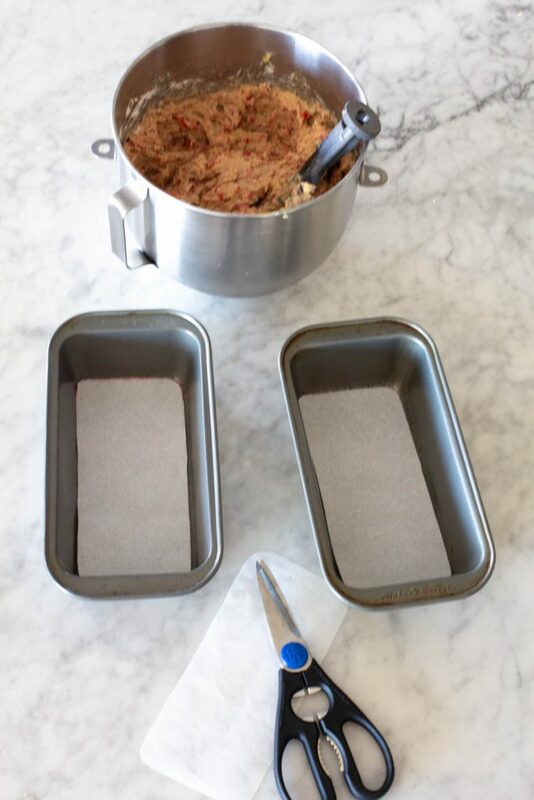 for stick-proof bread, always line the pan with parchment and coat with cooking spray! This recipe comes from my friend Tinker. She is a long time family friend of Tessa and Emily. The four of us started a Recipe Club way back in January of 1995, and held quarterly dinners with a group of 10 for 14 years! Tinker is a mom of two beautiful children, world traveler, art collector, eclectic decorator, has a serious china fetish, is a successful professional, and an amazing cook. Over the years the members of our Recipe Club have been the recipients of dozens of her dishes. Some of her grandmother’s tried and true, some of her own creations, along with magazine and cookbook adventures. I love Tinker’s Fresh Strawberry Bread. If you’re looking for a fresh change from the same old quick bread recipes, you’ll love this. Nothing says spring like strawberries and lemon! 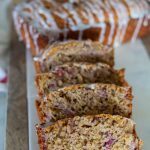 This Fresh Strawberry Bread celebrates strawberry and lemon in one delicious and easy quick-bread loaf! Place rack in center of the oven. Preheat oven to 350 degrees. Line two 8x5x2 1/4x2 1/2 inch loaf pans with parchment paper and generously grease. In a large bowl, combine the flour, baking soda, salt, cinnamon and sugar(s). Stir. In a separate bowl, beat the eggs, vanilla, oil and lemon rind together. Add the strawberries and pour into the dry ingredients. Fold (with spatula by hand) until all ingredients are blended. Pour the batter into the prepared pans and bake 50-55 minutes or until toothpick inserted in center comes out clean. Allow loaves to cool for 5 minutes, then turn out onto rack to cool. After the bread has completely cooled, whisk together lemon juice, powdered sugar and salt and drizzle over Fresh Strawberry Bread. I usually omit the nuts, and baked the loaves for about 55 minutes. If you omit the nuts, add 1/4 cup of additional flour to the recipe. If the loaves are browning too much in the oven, lay a sheet of foil over the loaves until done. White or brown sugar or a combination of both can be used. 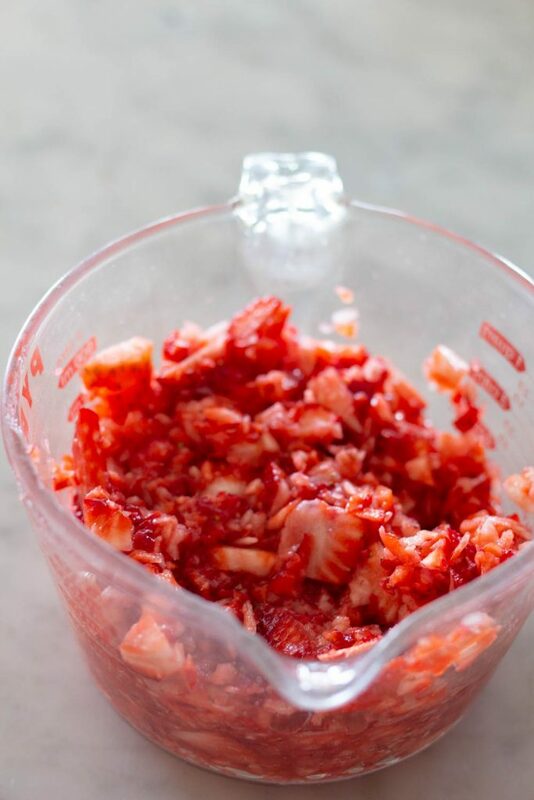 Use a food processor to chop the strawberries. I throw all of the fruit in the processor and then pulse until they are in small chunks. Do not puree! mmmm this pregnancy has been all about the berries for me. I can't wait to try this! 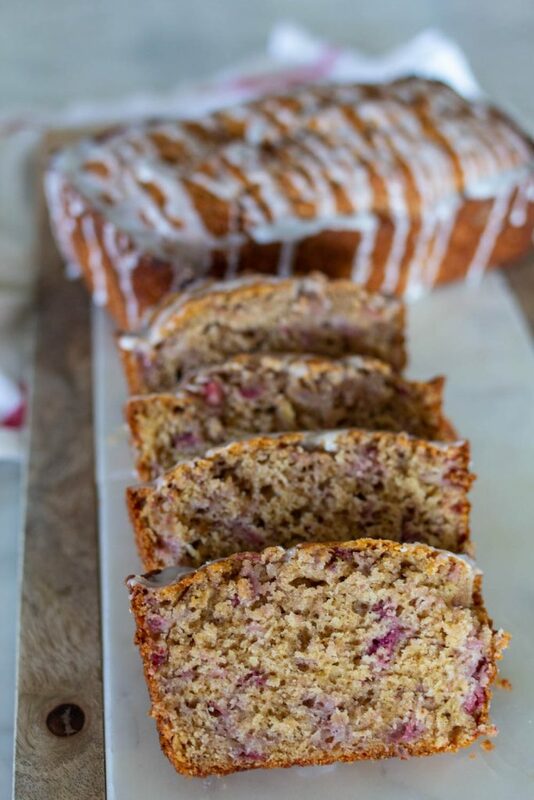 I love this Strawberry bread….thanks berrry much for all of your delicious treats! si! you know how to get to a man's heart! My mouth waters as I look at your blog, then I pour a bowl of cereal. This looks delicious! What a great idea to put strawberries in bread, definitely one I will be trying. I've never ever had strawberry bread before, but I think I might just have to now! I just made this! YUM! Such a nice change from the same old banana bread around here. Thanks for Sharing all your great recipes so my family can enjoy them too. Now I'll have to make it again and take some to my cute old neighbor lady. 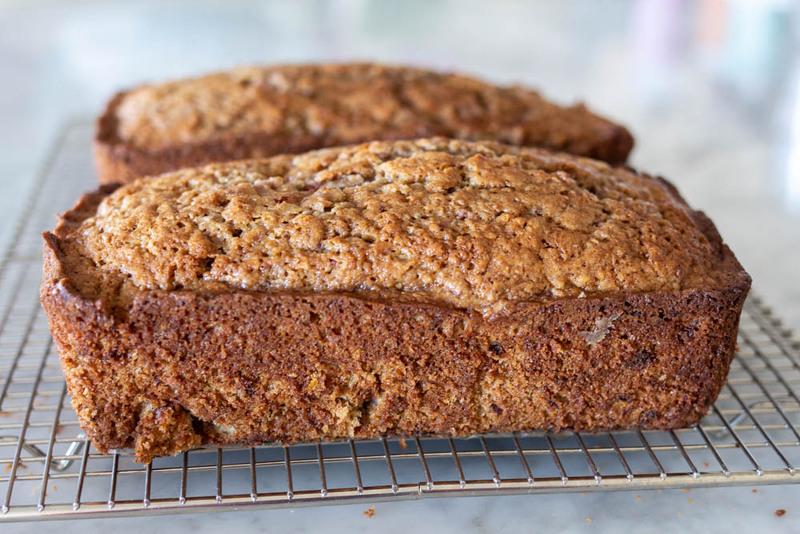 Hi Heather, I love banana bread, but this recipe is definitely a close second! I had some strawberries that needed to be used quick and found your recipe. I ended up making 5 mini loves (lowered the temp by 25 degrees and cooked for 35 minutes). They just cooled enough for my kids to try and they LOVE it!! This will be a new summer treat for our family! Thank you! Thanks josette, I'm glad your kids loved these too! Nice to know it makes 5 mini loaves 🙂 thanks! This was so luscious!!! Scared me alittle when it was so dense in the bowl that I had to ask my husband to mix it for me—seemed like I missed a liquid. But, nope! After he tackled it for me and the berries released some liquid, it came out perfect—mae a full loaf plus 4 individual serving sized cakes!!!!! Now I need more berries!!!! Ruthie, It is a very thick batter, I agree! It is one of my favorites too, thanks for sharing! This looks amazing! What is the glaze that is on it in the pictures? Can you use a stand mixer? Or does it have to be done by hand? Hi Tammie, I would use the stand mixer to mix the wet ingredients, but mix in the dry ingredients by hand. 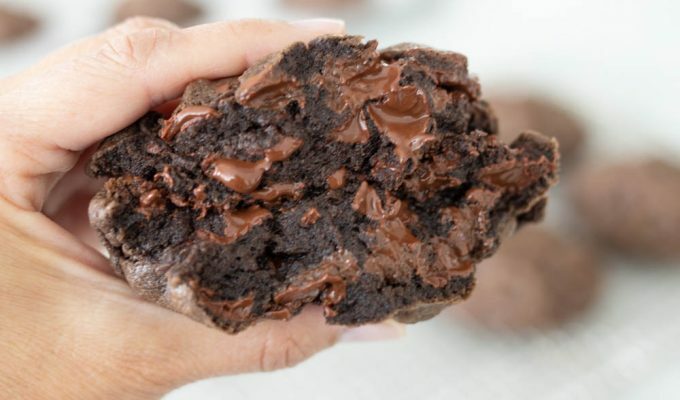 That way you won’t over mix the batter. Thanks for asking and for reading ABK!